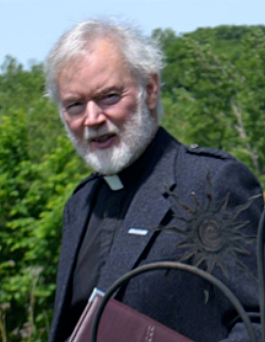 Dr. Malcolm Sinclair is the preaching minister of Metropolitan United Church in Toronto, (the “Cathedral of Methodism” in Upper Canada). Born and raised in that city, Malcolm has served four congregations there over forty five years. He has taught and preached across Canada, as well as at Iona Abbey in Scotland, and in the Uniting Church of Australia in Melbourne. Malcolm is a graduate of Emmanuel College in Toronto from which he received an honorary doctorate in 1997, and the Distinguished Alumni Award in 2013. Malcolm is a Burns’ Supper entertainer, and Padre to the 78th Fraser Highlanders, York Garrison, (Wolfe’s troops at Quebec). He is married to his Scottish wife. Elspeth. They have five children and nine grandchildren.